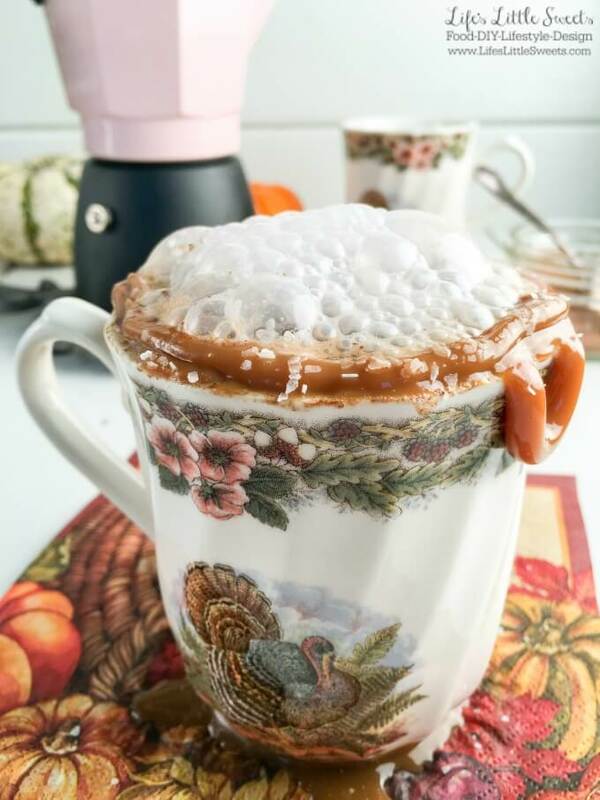 Is everyone ready to cozy up and drink a Salted Caramel Pumpkin Spice Latte? I sure am! 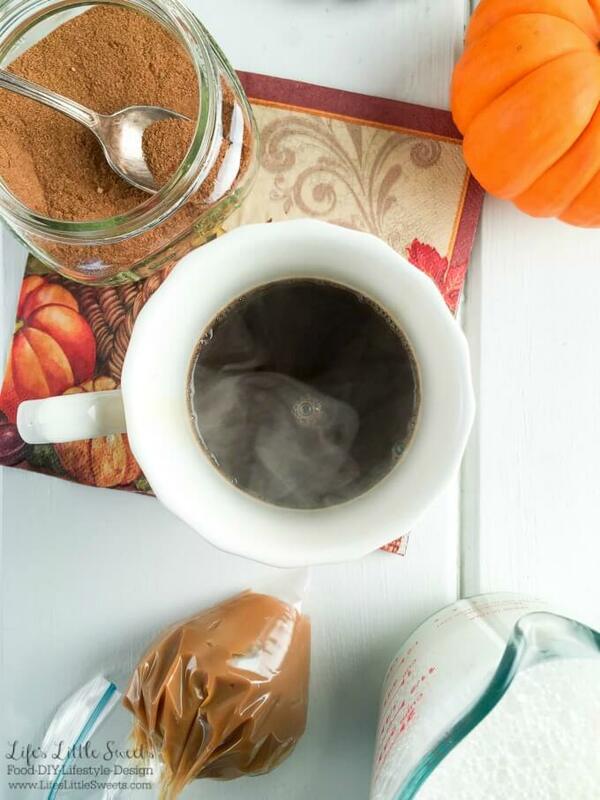 It’s the right amount of cool weather right now to warrant breaking out the pumpkin spice mix, espresso and Silk® Half Gallon Almondmilk to make this sweet yet slightly savory coffee drink! 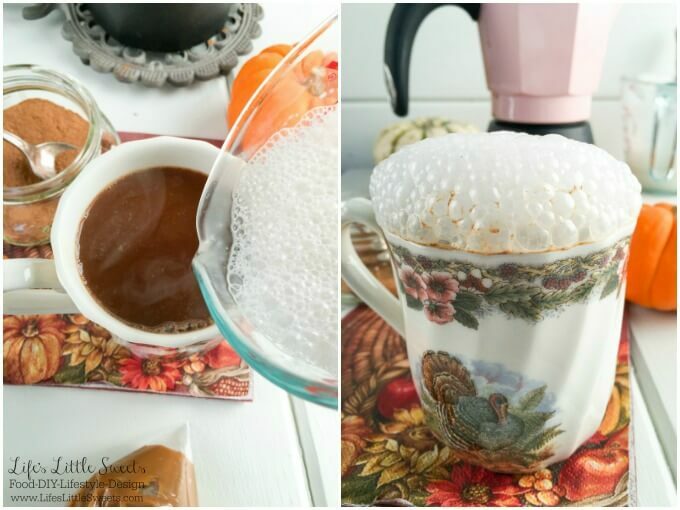 For this Salted Caramel Pumpkin Spice Latte recipe, I used Silk® Half Gallon Almondmilk and I also purchased Silk® Half Gallon Coconutmilk. 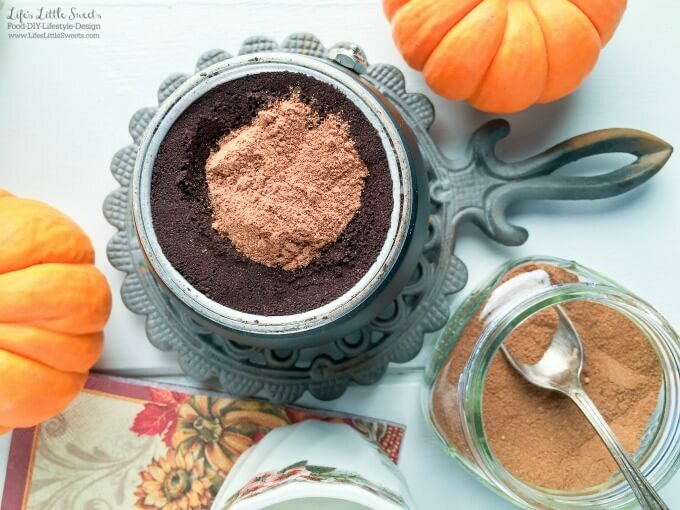 I love making any traditional recipe into a dairy-free recipe by just using any of the following Silk® milk flavors. Silk® Half Gallon comes in the following flavors: Almondmilk, Soymilk, Cashewmilk, Coconutmilk. With all those flavors, there are many different options to customize recipes. 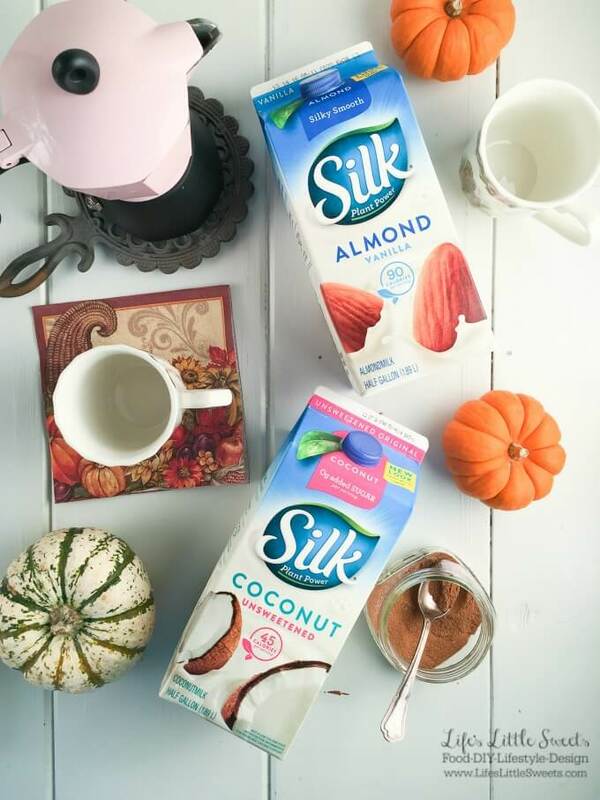 Silk® has new packaging with the same silky taste. Silk® Half Gallon is non-gmo, non-dairy and gluten-free. My husband Eric likes to have Silk® Almondmilk with his cereal. 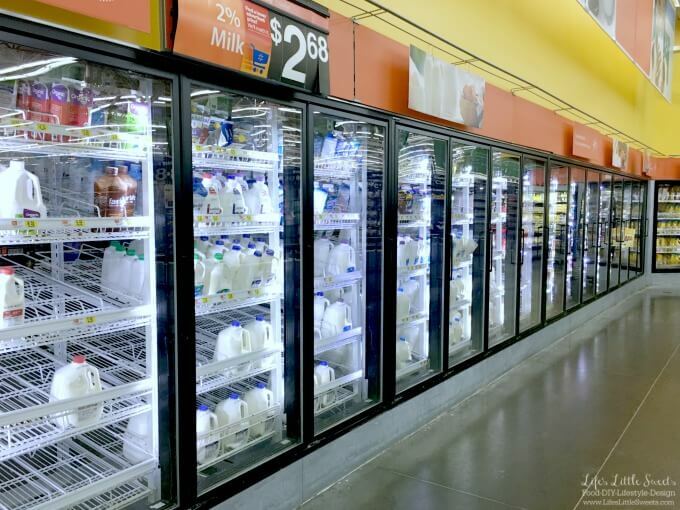 He is a big cereal eater and also lactose-intolerant so Almondmilk is a great option for him to be able to still enjoy eating his favorite cereals. Almondmilk has no cholesterol or saturated fat so it is great since Eric is health-conscious and likes to stay fit. We like to make protein shakes and smoothies on a regular basis and Almondmilk is a great ingredient for those. I like using Almondmilk in many Fall and Holiday-inspired recipes because the nutty flavor adds a depth of flavor that lends itself for this season very well. I always have Coconutmilk on hand because it is so versatile in recipes. I have used it in savory curry recipes for dinner, I use it a lot in baking to replace regular milk since Eric is lactose-intolerant. It’s milk flavor lends itself well to not changing the flavor of baked recipes. I also personally like to drink Coconutmilk by itself because I find it so refreshing and thirst-quenching. 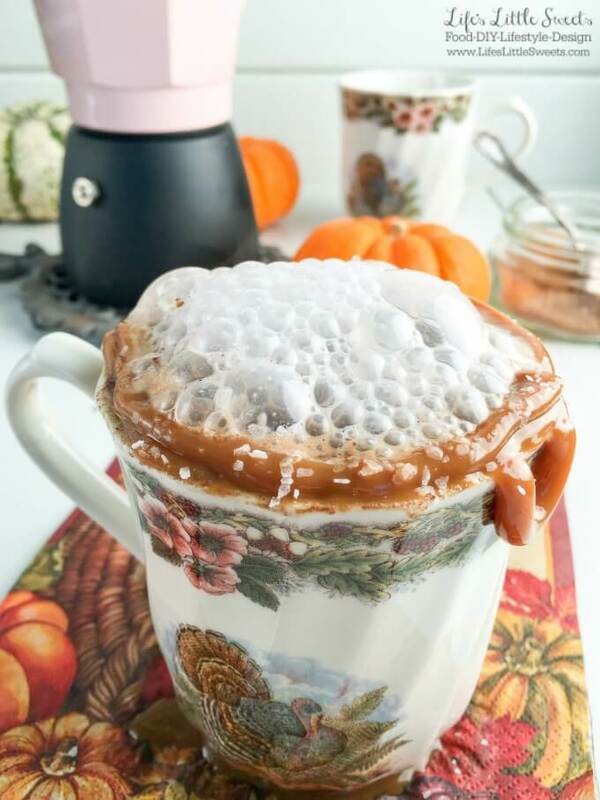 I hope you enjoy this delicious Salted Caramel Pumpkin Spice Latte! 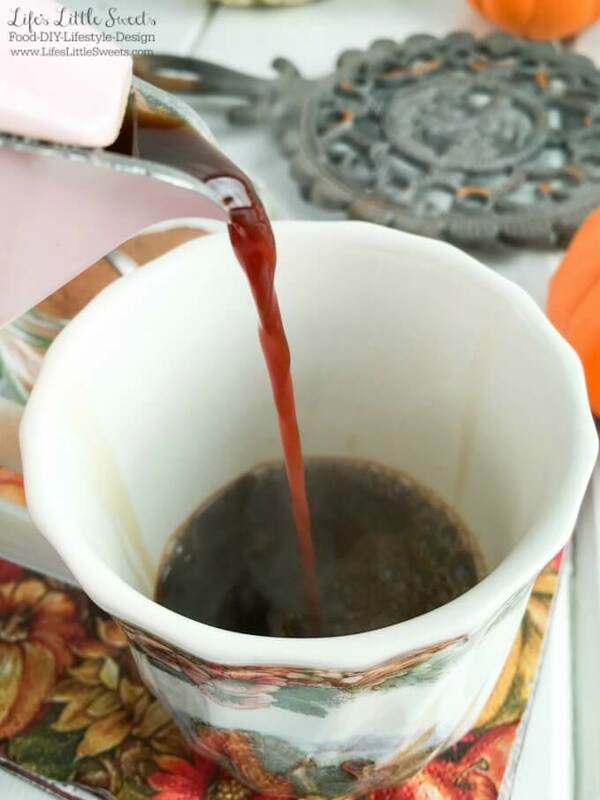 Prepare the espresso using a stove top espresso maker or other method for making espresso. Prepare 1 cup of Almondmilk or Coconutmilk in a small saucepan, bring to a simmer on stove top, remove from heat and whip with an electric hand mixer until frothy, alternately, you can use a milk steamer, if you have one. Pour desired amount of freshly made espresso into mug. Pour frothy, steamed milk over espresso and using a large spoon, spoon the milk froth onto the top. 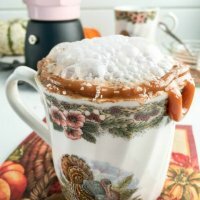 Pipe caramel over the top or on the rim of the mug. Sprinkle a little kosher salt onto the caramel. Serve and enjoy!